Arthritis is a very common ailment and is one of the leading causes of disability today. To define arthritis would be like looking for a needle in a haystack as arthritis is a broad term for over 100 conditions of varying causes which damage the joints. To keep it simple, I’d say arthritis is a degenerative or inflammatory disease of the bone resulting from different causes. If you have arthritis of any kind, the main symptoms you would feel are joint pains, swelling, stiffness, and a reduced ability to use the joint. Arthritis can affect any joint, therefore when you’ve got hip arthritis, for example, you would feel pain, swelling, and stiffness in the affected joint. The knees and the hip joints are most commonly affected by arthritis, although it could strike anywhere, even the neck. The pain you feel in the affected joint when you have arthritis, might be of varying severity and character. It could be mild and occurring sparingly and in other cases, it could be so severe with very frequent attacks. I would provide you with information about the major forms of arthritis and their general treatment. How do Doctors Cure Arthritis? Osteoarthritis and rheumatoid arthritis are the major forms of arthritis and they both have different causes. Osteoarthritis is a wear-and-tear form of arthritis. I say this because osteoarthritis is a form of arthritis that results when the cartilage- the slick cushion which lines the adjoining surfaces of the bones in a joint- wears off due to age-related weakening and overuse. This causes the bone to glide over each other directly causing the symptoms of arthritis. Osteoarthritis is commonly seen in people older than 50 years. Rheumatoid arthritis is not caused by wearing off of the cartilage, but by the immune system erroneously attacking all components of the joint, damaging them and resulting in pain. This is what doctors call an autoimmune disease. The white blood cells make up the immune cells, and in these diseases, they attack the tissues mistaking them for foreign bodies. Most other forms of arthritis occur as a result of inflammatory damage to the joint. Inflammation is what happens to a tissue when white blood cells are recruited to help fight off foreign bodies such as infective agents from a tissue. In the course of fighting the agents, your white blood cells could cause a damage or two to the tissue being “protected”. This is what is called inflammation. There are other common types of arthritis, such as septic arthritis which is caused by bacteria or fungi which enters your joint from a neighbouring infected organ or through the blood from a distant infection, damaging the joint structures. Most forms of arthritis are chronic disorders which you might end up managing for a long time, or perhaps, the rest of your life. You should note that except for the infective forms, arthritis has no cure. Therefore, you would need some home remedies which provide significant relief from the joint symptoms. Early and regular use of these home remedies would prevent dependence on pain killers and would prevent you from undergoing surgery for the arthritic joint. Your doctor would intervene, recommending surgery or more effective medications, if your symptoms remain unabated after employing the home remedies. Are you suffering from this arthritis? Then stop worrying, here are some effective natural home remedies to relieve the discomfort and pain. Ginger has the ability to increase the blood circulation and also acts as anti inflammatory which remove the inflammatory chemicals away from the painful joints. So, intake of ginger regularly will helps a lot to healing arthritis. Take half teaspoon of ginger powder or 30 grams (approximately 6 teaspoons) of fresh ginger once in a day. Or you can apply ginger oil regularly on the painful area to reduce the pain. Or you can simply eat the ginger regularly either in the raw or in cooked or in tincture, ale forms to get relief from the joint pain and inflammation. Be sure to check out our in-depth article about using ginger for arthritis. The combination of cayenne, mustard and ginger provides relief from joint pain quickly. Mustard flushes out the blood towards the skin surface and loosens the stiff joint muscles. Ginger contains anti-inflammatory properties which provide relief from swelling and pain. Into a jar, add 1 tablespoon of cayenne pepper, 2 tablespoons crushed mustard seeds and 2 teaspoons grated ginger. Pour 1 cup of olive oil into it and stir well. Cover the jar and let it aside without disturbing for about 7 days. Now, using a sieve or cheesecloth strain the solution. Discard the herbs and store the oil in an airtight container. Apply enough amounts of the oil on the affected joints and massage well. Repeat the application regularly to get relief from the pain and swelling of the joints. Gin has been used as a home remedy for arthritis by many in the old days. Gin flavour is obtained from juniper berries which, as noted above, have anti-inflammatory properties. Golden raisins, on the other hand, are processed using sulphides, and these sulphides help to strengthen cartilage and bones. So when you drink golden raisins, what you are doing is adding more sulphides to keep your bones and cartilages strong and the inflammation at bay. The main ingredient of olive oil is olecanthal, which inhibits enzymes which produce prostaglandins. Prostaglandins are chemicals in our bodies which make us feel pain. Heat destroys this key ingredient of olive oil and so you should use extra virgin olive oil or have the cold-pressed form. This drink has high amounts of calcium, magnesium, and potassium, all of which are essential for giving your bone its strength. This makes it a very effective home remedy which has been used by many for many decades. Pectin is a carbohydrate substance found in plant cell walls, where it helps to keep the cells compacted together. Pectin is extracted from these plants and made into forms of jam and jellies. Pectin is best used with grape juice and it helps to relieve arthritis symptoms by keeping the synovial lining of your joint intact. The synovial lining of your joint produces the synovial fluid which is a lubricant which helps the bones of the joints glide over each other without friction and pain. Why I mentioned that you combine pectin with grape juice is because grape juice reduces inflammation, making effects of both substances synergistic. Mix both substances and drink to your relief. You would find great relief using pectin extracts on your joints. White willow tea has been described as the original aspirin because of salicin, its active ingredient. Salicin is converted to salicyclic acid, somewhat similar to acetyl salicyclic acid which is the active ingredient in aspirin. White willow tea has been used for pain relief right from the 5th century. One way white willow tea may be preferable to aspirin is that salicylic acid is formed from salicin after passing the stomach, hence causing little or no stomach irritation which occurs when you use aspirin. Peppermint eucalyptus oil has effective analgesic properties and it provides a soothing relief when you apply on the aching joint. Eucalyptus oil is a natural anti-inflammatory agent that definitely helps you get relief from joints and muscle pains. It also decreases the stiffness caused due to arthritis or regular wear and tear of muscles. It also helps to cure the joint aches caused due to muscle sprains. Into an empty spray bottle, add 1/2 cup of jojoba oil and 10 drops of eucalyptus oil. Apply enough amounts of the mixture and gently massage for few minutes. Note: Remember to shake the bottle well before applying the mixture on the joints. Try this and get very significant relief from your sore joints. Juniper berries contain terpinene-4-ol. A chemical which suppresses a group of white blood cells which are one of the culprits in rheumatoid arthritis. If you drink the tea daily, the inflammation which causes rheumatoid arthritis would subside, thereby reducing the joint symptoms you feel. As I earlier noted, white blood cells are your immune cells and they also mediate inflammation. Boswellia, also known as Frankincense, is a plant found in Asia and Africa. The extract of this plant is a very good pain killer, thanks to its anti-inflammatory properties. Research says that boswellia contains boswellic acid which are able to stop the formation of leukotrienes, the immune cells responsible for the inflammation. It suppresses the white blood cells which trigger inflammation, and eventual damage of your joints. So, take its supplement in any form regularly to get rid of the arthritis. It not only cures arthritis but also helps to get relief from the ulcerative, asthma, etc. so, it’s very healthy to use it regularly. This burdock root is a traditional medicine used by herbalists in India, Europe and China for treating joint pains and detoxification. It has essential fatty oils with sterols and tannins which contains anti – inflammatory properties. Add 2 tablespoons of fresh burdock root. Simmer for 10 – 15 minutes and remove from the flame. Using a sieve, strain the tea and drink it warm. Repeat the process 3 – 4 times in a day to treat or prevent joint pain. Note: You can use 2 teaspoons of dried burdock root if you don’t have fresh one. Alfalfa is a plant which is rich in minerals and helps to regulate pH levels to heal the people who suffers from the arthritis. You can make a tea by adding some alfalfa seeds to a cup of boiling water and let it stir and steep for few minutes. Then strain the tea and drink this twice a day for about 2 – 3 weeks to reduce the inflammation. Dandelion leaves have high amounts of vitamin A and C which are what I call mop-up vitamins, because they help clear up chemicals which damage tissues. In simple term, these vitamins are strong anti-oxidants. Additionally, dandelion leaves contain linoleic acid which helps to suppress inflammation. You can enjoy dandelion leaves in salad or as tea. The aerial parts of nettle reduce the painful sensations by interfering with the pain signals which are sending to the brain. Other than this, it is rich in boron which is a mineral that is very much required for healthy bones and joints. Add 1 cup of nettle leaves and let it simmer for 10 minutes. Stir in 1 – 2 teaspoons of honey into it and drink it. Repeat the process regularly until you get rid of the joint or hip pain. Note: Instead of fresh leaves, you can use dried nettle leaves. Note: nettle herb may interfere with some blood thinners and other medications prescribed for blood pressure, diabetes and heart problems. So consult doctor first before starting this remedy. Take few fresh nettle leaves and place them on the affected joints. Secure it with a gauze or bandage. Repeat the process daily for few days till you get relief from the joint pain in fingers, shoulders of knees. Soak 1 teaspoon of fenugreek seeds in a cup of water. In the morning, strain the seeds and eat them. Repeat the remedy daily to get relief from chronic pain. Epsom salt contains magnesium sulphate, and magnesium is a mineral useful for treating diseases involving bone and muscle. Magnesium relaxes your muscles and nerves, and eases pain. You should note that magnesium is also one of the minerals in our bodies which makes bones stronger, so taking magnesium supplements or Epsom salt when you have arthritis is a fantastic idea. Additionally, magnesium helps to increase the pH in tissues, making them more alkaline (less acidic). This is good for your joints because some inflammatory joint diseases thrive in acidic environment. In addition to taking magnesium capsules, go grocery shopping for food items rich in magnesium including leafy vegetables, nuts, and legumes. Also get magnesium oil and apply on the affected joint for soothing relief from the pain. Alternating the hot and cold compress will provide relief from the pain quickly. The heat boosts the blood flow, decreases the pain and relaxes the muscles. Cold therapy reduces the swelling and numbs the areas around the affected joints. Wrap some ice in a towel. Soak another towel in warm water and wring out the excess. First, place hot compress on the affected joints for about 3 – 5 minutes. Then remove the hot compress and place cold compress immediately for 1 – 2 minutes. Repeat the hot compress again followed by cold compress. Continue doing this process for about 15 – 20 minutes to get relief from the joint pain. Repeat the process few times in a day to get complete relief from sore joints. Follow the process for few times in a day until you get complete relief from the sore joints. Take some aloe vera too. Even though you have stiffness and pain in the joints, minimum physical movement especially in the painful areas is important to get relief. Though it sounds weird, it is very important to maintain the proper functioning of the joints. Exercising helps to control the weight (as overweight will put more strain on the joints to get pain), strengthens the muscles to support the joint even when your cartilage is thinning and finally lubricates the joints to make them move freely. Whenever we restrict the movement, the synovial fluid in the joints harder and clears the lubrication that finally makes it hard to do things with joints and leads to discomfort even if you move a little. So if you once get started moving and warming up then the liquid becomes viscous and this helps for a better lubricating the joints and keeping them go smoothly. Here are few exercises you can try. Go for a brisk walk by starting with a time period of 15 minutes and then work up on your way to a solid daily routine. Do chores like gardening or even housekeeping. You can also do some hand exercise in either a sink or bowl filled with warm water to get additional ease or comfort from the arthritis. But make sure that not to overdo the exercise if it makes your pain worse, then you can lessen the frequency or the amount of exercise. Playing in the pool will also help you to get relief. You can choose heated pool or whirlpool but consult your doctor if you’re pregnant or suffering from any chronic health problems. This warm water will help to loosen the joints and make muscles more flexible to move. Regularly do some targeted exercises with certain stretches and other exercises that specifically target the joints which help you to get rid of the stiffness and pain. You can try a simple yoga pose for tennis elbow, it is nothing but cobra pose or bhujangasana which helps to stretch out the aching elbows and joints and this will open up the stiff muscles in the shoulders and back. Consult a trained professional to guide you with exercise routines as per your convenience and timings. Don’t overuse over the counter creams or pain killers unless and until your doctor prescribed to you as these may give temporary relief but it activate the enzymes which will breakdown the cartilage in the joints when use continuously. Prepare a plan everyday which is realistic. Have a written schedule and do all the tasks by thinking that you have the essential energy and enthusiasm. Avoid holding one position for long time as this will add to stiffness and discomfort. Try to relax and stretch your joints as much as possible. And also always use your arm rather than your hand or outstretched arm. Consume fish oil of 1 to 2 teaspoons daily or take fish oil supplements in the morning on an empty stomach to get relief from the arthritis. If you have knee or hip arthritis, for example, you would do the affected joint a lot of good if you transfer stress from the affected joint to another object or to the other joint, or reduce the weight-bearing burden of the joint altogether. This is achieved by using assistive devices including canes, walking frames, and braces. Other assistive devices include proper footwear and shoe insoles recommended by your doctor. These shoe insoles are particularly helpful if you have ankle joint arthritis. The good insoles reduce the stress placed on your ankle by your shoes. Most times, your doctor would know you have arthritis just by examining the joint and by conducting some laboratory investigations. The most important set of investigations needed to confirm if you have arthritis is imaging study. This comprises plain radiographs, bone scans, magnetic resonance imaging (MRI), computed tomography (CT) scan, and ultrasound scans. These imaging studies visualize the affected joint with different levels of clarity, providing your doctors with what joint structure is damaged and how much damage has been done, hence aiding them in determining the exact cause of the arthritis and the best mode of treatment to adopt for you. These imaging studies are not the only investigations recommended by your doctor, you would also have your blood sample collected for a few other tests such as complete blood count, erythrocyte sedimentation rate (ESR), presence of rheumatoid factor (RF) – a chemical seen in your blood if you have arthritis, and presence of pro-inflammatory chemicals, all of which are geared towards identifying the cause of your arthritis symptoms. Additionally, your doctor would order for a test called, arthrocentesis, here your doctor would take fluid sample from inside your joint via a long needle. The fluid is then analysed. Some cells found in the fluid may give your doctor a clue to the cause of your arthritis. Calcium: Bones are made up of calcium but unfortunately our body doesn’t produce it. It has to be absorbed from the food we eat. You can take it in supplement form to supply enough amounts of calcium to the bones. Vitamin D: This vitamin is responsible for the absorption of vitamins and nutrients into the body from the food we eat. Deficiency of this vitamin is often one of the main aspects of bone and muscle weakness. Glucosamine: It is naturally found in cartilage. Absence of it can cause discomfort in the joint movements. Opt for a liquid form instead of powder as it can be easily absorbed by the body. SAMe: This molecule builds strong bones by transferring sulfur to the cartilage. It has similar effect of pain relieving like ibuprofen or aspirin. There is no food source for this, so it has to be taken in supplement form. Research says that SAM-e helps to relieve from the arthritis pain by increasing the blood levels of the proteoglycans, a molecule which seems to play an important role in preserving cartilage by helping to keep it well oxygenated. So, it’s recommended to take everyday 400 milligrams of SAM-e dose twice a day in any form of the supplement to get relief from the arthritis pain. A SAM-e study which was sponsored by U.S government has proved that it is comparably equal to anti-inflammatory drugs to fight against the arthritis pain. Magnesium: It helps to relax all the muscles and nerve endings, gives relief from stiffness and pain. A study also showed that people who take magnesium in high quantity (either in diet or in supplement form) then they have high bone density and finally makes the bones stronger. Fish Oil: Omega-3 fatty acids are present in fatty fish. These fatty acids have a lot of benefits including mopping up pro-inflammatory chemicals and preventing the production of some others. You can choose to consume foods with high omega-3 fatty acids such as nuts, mackerel and sardines, or take fish oil and omega-3 supplements. If your doctor may also prescribe you a pain killer. These drugs are of different classes, some can be obtained over the counter without having to wait for a doctor’s prescription. The drugs which relieve the symptoms of arthritis include the following. Acetaminophen: This is the simplest analgesic, you can find this drug at local stores without your doctor’s prescription. Nonsteroidal anti-inflammatory drugs (NSAIDS): These drugs are pain relievers which act by inhibiting the production of chemicals called prostaglandins, which as I earlier mentioned, cause us to feel pain. Examples of these drugs are ibuprofen, diclofenac, and aspirin. You could use the oral or topical forms of these drugs. Although, you can get these drugs without your doctor’s prescription, you need to read the labels well for instructions. There are some strict rules you must be aware of before using these drugs. For example, if you have asthma or stomach ulcer, this group of pain killers is not right for you, as it may cause your symptoms to get worse. Additionally, children should not be given aspirin, because it has a fatal complication called Reye’s syndrome if they use it when they have any viral illnesses such as the flu. Furthermore, you should not use these drugs for too long to avoid stomach irritation or even bleeding into the stomach. Opioids: This group of drugs act at the level of spinal cord, altering our perception of and response to pain. Examples of these drugs are tramadol and oxycodone. You can only obtain these drugs via your doctor’s prescription because these drugs could be very addictive. Steroids: These drugs also inhibit the production of prostaglandins and are usually injected into the affected joint to cause pain relief. Your doctor would recommend this if other drugs have not been giving you significant relief. Examples of steroids your doctor would use to treat your arthritis includes triamcinolone and methylprednisolone. Muscle relaxants: Examples of these drugs are dantrolene and baclofen and are used to relax the muscles around your affected joint. Why is this necessary? you might ask, well the thing is when one or more of your joints are inflamed and painful, the muscles around them might contract forcefully in a bid to protect it, however this muscle contraction worsens the pain, therefore you need muscle relaxants to make the muscle more flexible and to reduce this pain. Capsaicin: This works by reducing the amount of a chemical called substance-P which transmits pain signals to our brains. You would commonly find the ointment form of this drug and you would find it very effective. You could also prepare this using cayenne at home. Cayenne is rich in capsaicin. Other drugs: Your doctor may decide to add antidepressants to your list of drugs. These drugs would provide you comfort and relieve your chronic pain. 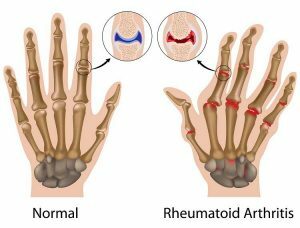 There are also other drugs called Disease modifying anti-rheumatic drugs (DMARDs), these include gold, penicillamine, and chondroitin sulphate and are prescribed if you have rheumatoid arthritis and if NSAIDs have not been so effective. In addition to these drugs, your doctor would recommend physiotherapy and occupational therapy, which are a series of activities which you are directed to engage in to reduce these symptoms. These activities may include special forms of exercises such as stretch exercises of the muscles around the affected joint to keep the muscles around the joint flexible and less rigid and using specialized seats at your office to relieve the symptoms. These are not instituted by your doctor but by a group of healthcare professionals called physical therapists and occupational therapists. Now, after employing the home remedies and using the above drugs, if you do not feel any significant improvement in your symptoms or they even get worse, your doctor would recommend surgery. In this surgical procedure, your doctor does not need to make a large cut on the skin to get to the joint, he makes a small pinhole through which a tube is passed and the procedure is done via that tube. Arthroscopy involves removal of the joint structures that are damaged. Removal of these structures tend to reduce recruitment of pro-inflammatory chemicals to the joint. Here, your doctor removes a part of the bones making up the joint, such that what remains is the less damaged or undamaged part of the bone. This shifts weight-bearing from that damaged side of your joint to the healthy side. The advantage of this procedure is that it delays the need for a more invasive surgery on your joint. After all else have failed, your doctor would advise you on and schedule you for this procedure. Here, all or a part of the affected joint is removed surgically and replaced with a metal or plastic prosthesis. It helps to significantly reduce the pain you feel when you have severe arthritis. Your doctor would also choose this approach if the other surgical techniques would not be sufficient to repair the diseased joint. Arthritis is a broad term for over 100 diseases which cause damage to a joint and chronic symptoms such as pain, swelling, and difficulty using the joint. The major forms of arthritis are osteoarthritis and rheumatoid arthritis. Since arthritis is a chronic disease, you would find home remedies very vital for relief and comfort using the affected joint. However, your doctor would recommend drugs to compliment these home remedies, and surgery if both approaches have failed to give you significant relief. Tell me about your experience with arthritis, what has been very helpful in reducing your symptoms? Also if you have any questions or suggestions, share with us in the comment section. I have arthritis in my toe,friend put me on to Apple Cider Vinegar .take it 3 times a day.But how long will it take to feel the benefits. It is difficult to tell the exact time frame but you may observe benefits in few weeks. Yes, acv and lemon juice can be taken together. Add 1 tablespoon each of acv and lemon juice in a glass of water and drink it. The method which works for me may or may not work for you and vice versa. So, it is difficult to choose any one remedy from the list mentioned above. Another method of dealing with osteo arthritis that has been in use for the last 10 years in the USA (longer in some other countries) is stem cell therapy. I had it done in one of my knees and it was very successful. It has also been used with famous athletes. One is a ball player who was looking at a major surgery for an elbow injury. He had stem cell injections instead and is back to pitching just as well as he was in the past. It is not covered by insurance but the cost versus the benefit and what is saved in other medical treatments as well as your long term suffering makes the stem cell injection a great deal and option. You must do physical therapy though for it to be effective. Another thing I have found highly beneficial is a liniment that is a traditional Chinese liniment used for injuries. It is called Dit Da Jow. Oh, I have a question. How do I make the “Golden Raisin Gin”. There were no instructions and it looks very interesting. Thank you. Into a shallow glass container, add one packet of golden raisin and add gin into it until the raisins are completely covered. Cover lightly and let it stand for 7 – 10 days. The raisins will absorb the gin as much as they can and remaining will evaporate. You can consume 1/2 cup of golden raisins per day to get relief from arthritis symptoms. There are no dosing or Preparation instructions with a lot of these & could multiple treatments be used in combination ?